Seattle-based photographer Steven Fey first developed his passion for the natural landscape 35 years ago as an avid hiker and mountain climber. He started photographing favorite landscapes in the western US and Canada with 35 mm cameras. As his interest and skill in photography grew, Steven graduated to large format cameras, which have an 8″ by 10″ view, allowing him to make very large prints showing stunning range, depth and detail. Since 1985, he has explored the Washington Cascades, British Columbia, and the northernmost U.S. Rocky Mountains extensively. An Alpine climber, Steven has ascended all of the major Cascade peaks in Oregon and Washington. At times, Steven’s travels have taken him farther afield, to places such as the abandoned trails in the Grand Canyon, remote areas of Utah’s national parks, and the Na Pali coast of Kauai, Hawaii. For a complete list of Steven’s explorations, visit our Backcountry page. 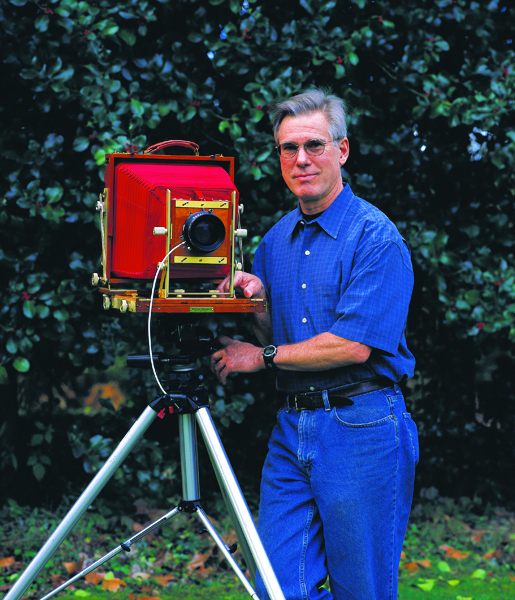 Steven is committed to film and traditional photographic processes, rather than digital imaging. In the printing process, film allows him to more accurately portray the light and colors found in nature, as well as to remain true to his original vision when he composed the shot. As a photographer, Steven is entirely self-taught. After retiring from a career in medicine in 2002, Steven opened his own gallery in order to share his work more consistently with the public and to connect more directly with buyers.